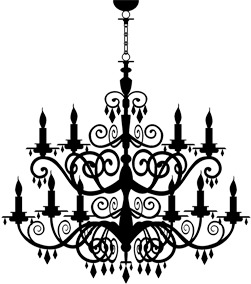 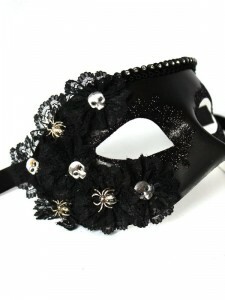 For this year’s Halloween Masked Balls, we decided to create a few new ranges of Gothic Masks & Halloween masquerade masks in celebration of my favourite holiday. 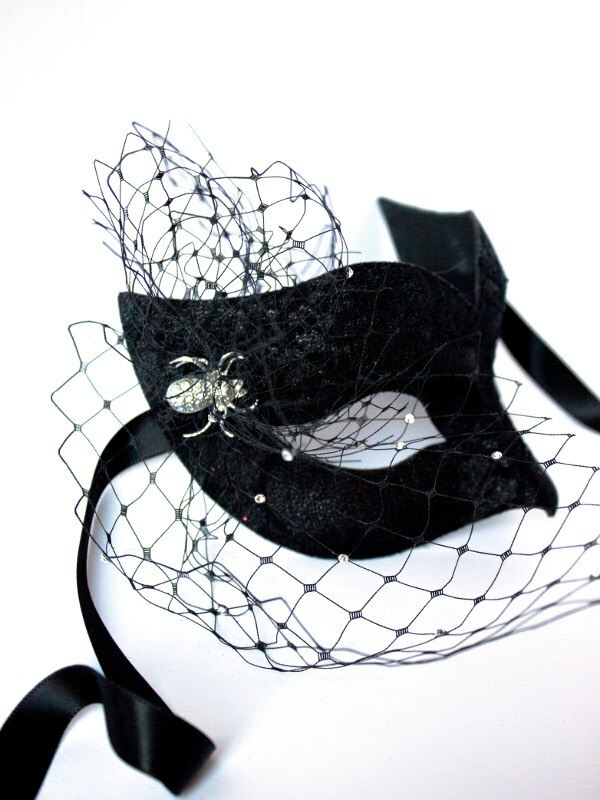 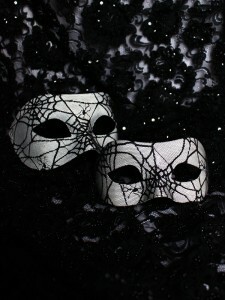 I wanted to design a few unique halloween masks that were a far cry away from the old rubber zombie heads and cheesy paper cut outs, so opted for some Decadent Gothic Venetian Masks covered in black lace and adorned with skulls and spiders, spider web veil Masks covered in Swarovski Crystals, and a gorgeous rich purple Venetian mask with a black skull as the centrepiece. 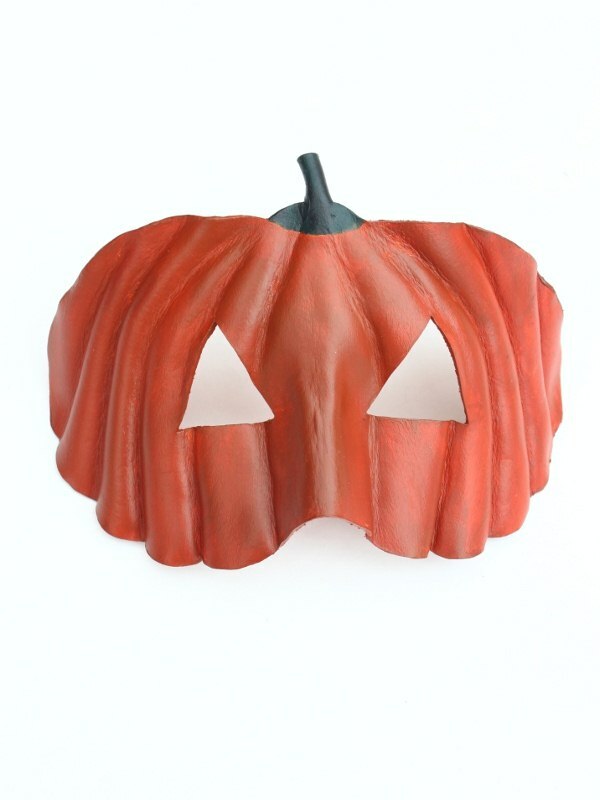 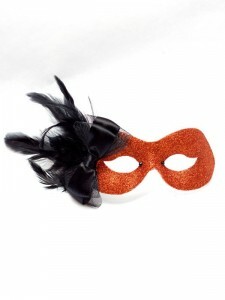 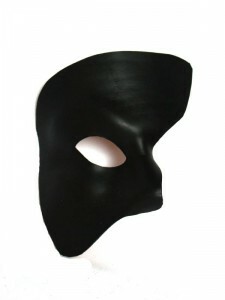 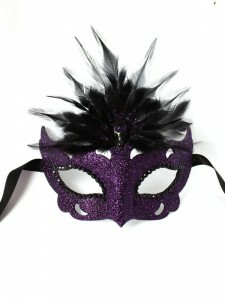 These Halloween masquerade masks are all limited editions and handmade by us so grab yours while you still can. 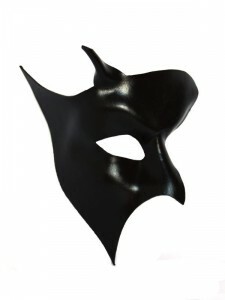 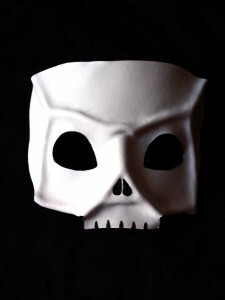 On the genuine leather side, our mask maker created some fabulous Half Phantom Horned Devil masks (available in black or red), a cool Skull Mask (in white or black) and a Black Phantom of the Opera Mask. All are available from our shop by clicking on the image or links. 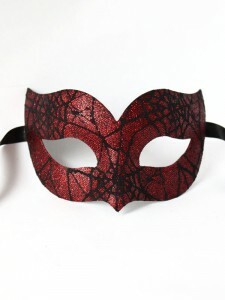 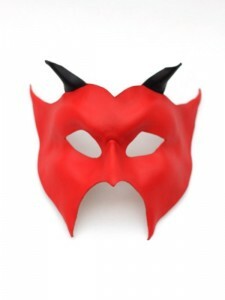 Checkout some of our other Halloween Masquerade Masks below which are all unique to this site and made by us so you won’t find them anywhere else!